The issue becomes clearer — or perhaps more foggy — if one moves from consumer goods to fine art. Here, the idea of authenticity suddenly seems more elevated and inspires more reverence. 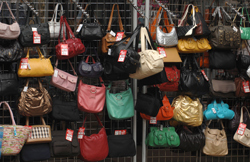 The difference, one might argue, is that fine art is connected to an individual, while a consumer product (like a handbag) is, generally speaking, mass-produced. Still, the notion that certain artists gain importance while others, working in the same mode with the same material, can’t give their work away, means that fine art is also based on a sense of value that is ineffable and thus subject to all sorts of unseemly manipulation. To say that Monet, who painted lily pads in 19th-century Giverny, is better than some poor schlemiel now painting lily pads in New Jersey, is to resort to an idea of taste as conditioned in us as is a taste for Louis Vuitton merchandise. For example: Before I took art history in college, I liked Pre-Raphaelite paintings a lot. After a thorough immersion in the discipline, I didn’t like them anymore. I had acquired a sense of esthetic hierarchy in which this work fell near the bottom. I learned, in short, how to be more discriminating. That sounds impressive, but what does it mean? It means that I was exposed to other work ranked higher, and was thus conditioned by experts to see differently. But isn’t this the same as my liking the Louis Vuitton handbag? I wouldn’t have cared about such a thing a few years ago (alas, since good imitations were then being sold on every street corner), but now, after much exposure to the hype (i.e., the esthetic lessons) of consumer culture, I have acquired a taste for it. Dig a bit into the valuation of art and you are likely to find many of the same elements that you find in the valuation of luxury merchandise. The signature of the artist on a work, for example, is like the logo on a designer bag. But since signatures can be forged (much as designer bags can be knocked off), the artwork needs to have papers and letters — an established “provenance” — explaining how the piece got to where it is. In an interesting imitation of this process, some of the most expensive handbags now come with papers that explain the craftsmanship and even describe the craftsmen involved in making them. Such papers can also be forged — as they often are for works of art. Will we one day see a time, perhaps, when a Hermes handbag, like a Picasso sketch, requires a connoisseur to give it the stamp of approval before purchase? I am awaiting the Bernard Berenson of Gucci, who will probably be a teenage girl with a blog. 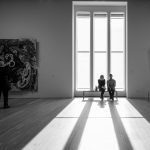 One of the interesting byproducts of the marketplace as it relates to fine art has to do with how legal precedent has affected the value of a work. 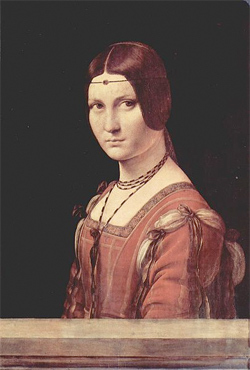 Take the case from the 1920s of the painting, “La Belle Ferronniere,” which its owners claimed to be a genuine Leonardo da Vinci and wanted to sell for a hefty sum to a Kansas museum. The noted art expert Joseph Duveen (who has since come in for discreditation in his own right) claimed at the time that the work was not genuine (though he never saw it first-hand and may have drawn his conclusion from its being for sale in Kansas). The owners sued Duveen for defaming the picture — and won the case, or at least received a substantial settlement from Duveen for having been so certain about that which he couldn’t unequivocably know. But there is also an interesting precedent for the reverse. When an alleged painting by Jackson Pollock — “Vertical Infinity” — was excluded from the Pollock catalogue raisonne in 2000, the owners sued the Pollock-Krasner Authentication Board — and lost. The point to be derived from these cases: when it comes to fine art, it’s hard to prove that something isn’t genuine but also that it is. Another interesting case involving authentication concerns a different alleged Jackson Pollock. This one was featured in the documentary film, Who the #$&% Is Jackson Pollock?, which follows the obsessive attempt by a truck driver with no initial knowledge of art to prove that she possesses a genuine Pollock. Here, the claim (which no serious art scholar would support) was based on a fingerprint that presumably matched a fingerprint on a can of blue Devoe paint in Pollock’s studio. As the late Thomas Hoving, former director of the Metropolitan Museum of Art, explained in an article on the subject, the fingerprint had undoubtedly been forged: “Someone had used an inked rubber stamp made from a cast taken from the print on the Devoe paint can.” That shows the length to which the logo of authenticity can be pursued and undermined. But even if Hoving is right, this probably won’t prevent this alleged Pollock from selling well by being, if nothing else, associated with so much controversy. “La Belle Ferroniere,” though still universally believed to be a copy, sold this year at Sotheby’s for $1.5 million. I myself was subject to the difficulty attached to artistic authentication a few years ago when my husband and I, wandering through the junk shops of the New Jersey Pine Barrens, stumbled on a watercolor still life signed by Charles Sheeler, a major 20th- century painter in the Precisionist School. Everything about the painting seemed genuine: it dated from the right period, judging by the paper and frame; it contained objects similar to those in other Sheeler still lifes; it was done from his favored aerial perspective; and it was signed in the block letters characteristic of his signature. Yet when we took it to the Philadelphia Art Museum for authentication, no one would verify that it was a Sheeler. Possibly it was, they said, but possibly it wasn’t — and without the papers charting its journey from Sheeler to the Pine Barrens, one couldn’t be sure. What that means is that without the papers — the logo — the piece wasn’t worth much, though with them, it would be worth, easily, a few grand. But you probably already know this from watching Antiques Roadshow. Walter Benjamin, a Marxist philosopher with esthetic interests, would have said that our focus in all of this is off. We need to reject the “aura” associated with one-of-a-kind works and appreciate the democratic value of mass-produced art. Lithographs, he said, are better than paintings for this reason, and film is best of all, because no one has greater access to it than anyone else. It doesn’t have an ineffable aura — like the authentic Louis Vuitton handbag or the authentic Jackson Pollock painting. But John Ruskin, the great 19th-century cultural critic, came to the issue from the opposite direction and arrived at a different conclusion. Ruskin was the mentor of William Morris of the arts and crafts movement, which sought to bring everything back to the level of individual creativity — to erase the distinction between fine art and useful art. Ruskin famously wrote that any young woman who wears glass beads, those perfectly shaped products of mass production, was engaging in the slave trade: She was, through her purchase, helping to turn individual workers into assembly-line automatons. The ideal for Ruskin was to view what we wear in the same way we view fine art. The point was how and in what spirit something was made, whether a picture or a pocketbook.